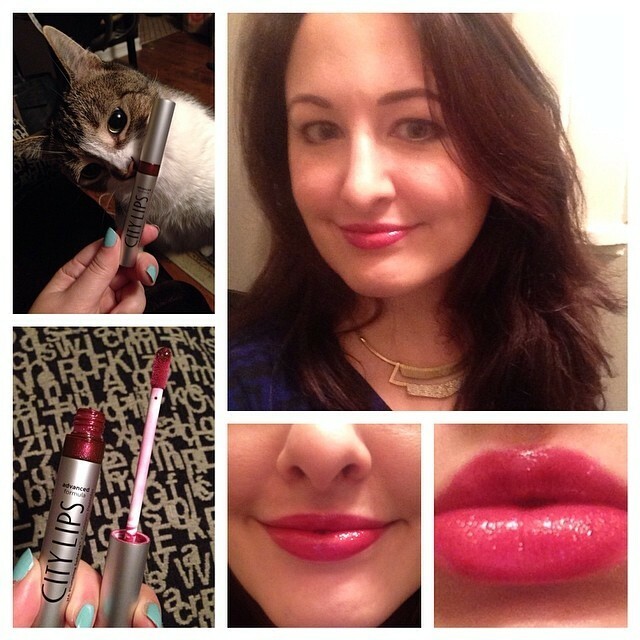 Check out the newest color by City Lips – Sangria! It’s a shade that looks good on almost everyone. I didn’t think it would work for me, but I love it! I really does plump up my lips (see my before and after with the clear version here). City Cosmetics recommends you wear the clear version nightly for 30 days to increase collagen production. It takes about 10 minutes for full plumping results. You can wear it alone or put it on over lipstick. In the photo above, I’m wearing the Sangria shade alone. You do feel it, but it doesn’t STING like some others that I have tried (and just can’t stand). There are many different colors. Check them out at www.citycosmetics.com. All cruelty free, vegan and gluten free! As you can see in the pics, even my cat wanted to try it! 😉 I can’t wait to try their other colors. They also have lash growth serum and skincare products which I will try soon! « A Girl’s Gotta Spa Energizing Citrus Smells Like Liquid Sunshine! Plastic surgery is a special type of surgery that can involve both a person’s appearance and ability to function. A Girl’s Gotta Spa Energizing Citrus Smells Like Liquid Sunshine!